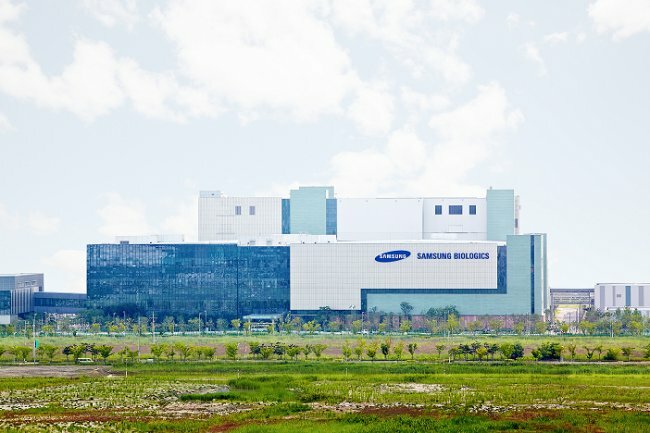 Yesterday, I attended the groundbreaking ceremony for the third large production facility at Samsung Biologics. It was a grant event, with over 500 guests invited, including President Park Geun-hye and a number of Ministers. 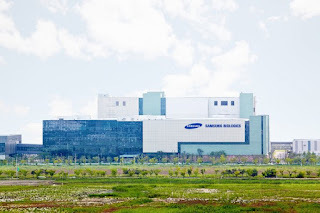 Although it was the first time I had been inside the Samsung Biologics complex, I felt a certain familiarity since I can see the facilities, less than a mile away, from the window of my apartment at SUNY Korea on the Incheon Global Campus. My view is only a bit more distant than the photograph included below (click for a full-size version). 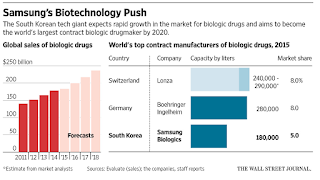 As reported widely in the press, including The Wall Street Journal, the third production plant for which groundbreaking was held yesterday will be the world's single largest biologic drug plant (measured by production capacity) when completed in 2018. 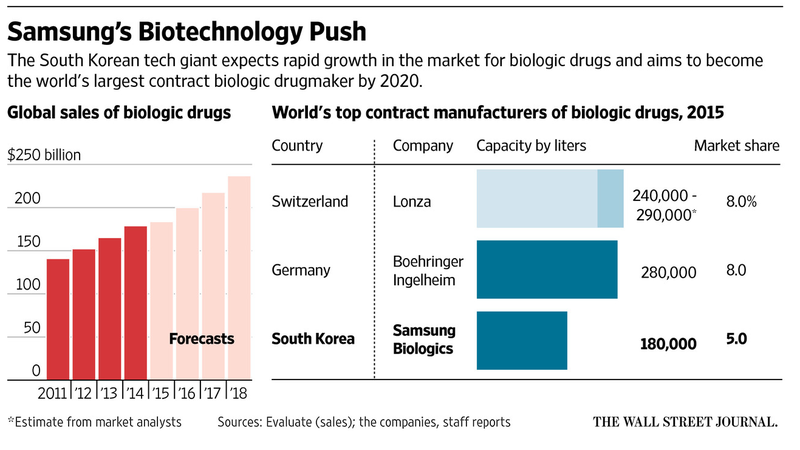 As shown in the accompanying graphic (click for a larger version), Samsung intends to become the world's largest contract biologic drug maker by 2020. What I found most interesting about President Park Geun-hye's speech was how she noted the convergence of IT with biotechnologies and how this relates to her signature creative economy initiative.